Yes, it’s that time of the year again, time for the Christmas festivities and there’s nothing that can make me feel more festive, than a big twinkling Christmas tree. 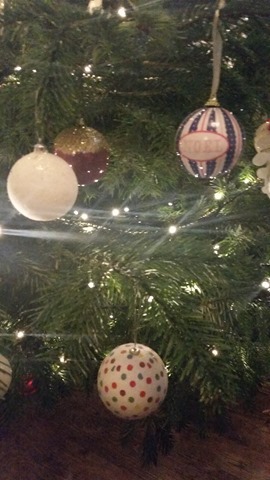 For those that know me or have read previous blog posts, I love everything about Christmas, especially the tree. I am now a real tree convert after favouring the artificial trees for many years, because I did not want to have to deal with the mess, but then I discovered no-drop trees and now I don’t think I could ever go back to an artificial tree. There’s something about having a real Christmas tree that makes everything seem more festive, you honestly cannot beat a real Christmas tree. This year I am working with Pines and Needles again and they have sent me a stunning Christmas tree, and 8ft Nordmann Fir to be exact. On the day of arrival, the lovely delivery chap helped to bring the whopper of a tree into the house, just like last year it was very well protected. After a quick rummage in the loft for Christmas decorations, I was ready to put up my Christmas tree. 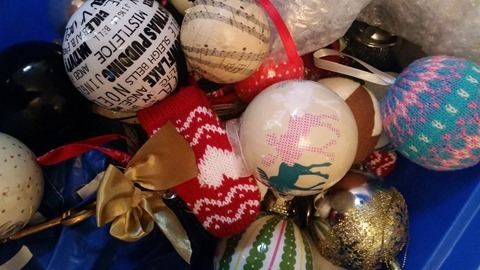 We have quite the eclectic mixture of ornaments and baubles that we have collected over the years from traditional baubles to modern prints. 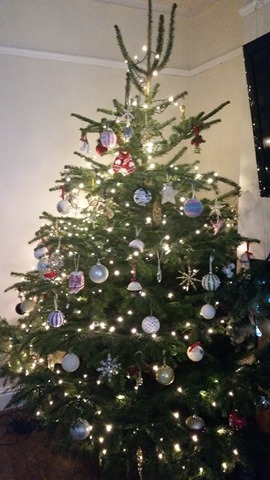 1)Nothing can beat that Christmas tree smell, I absolutely love it, I even buy scented candles just to get that smell! 7) There’s even a tree dressing service too! If you’ve not yet purchased your Christmas tree and you quite like the idea of one being home delivered, I can highly recommend Pines & Needles. Take a look online and have a browse here – They can guarantee that all their trees are sustainably grown. Update: Whilst making sure that the tree had a reservoir of water throughout the Christmas period, it did not discolour, it looked as good as it did on the day it arrived. I was rather sad that we had to take it down at the end of the festive period. Previous articleIt’s your 4th Birthday! Next articlePreparing for a Children’s Party?